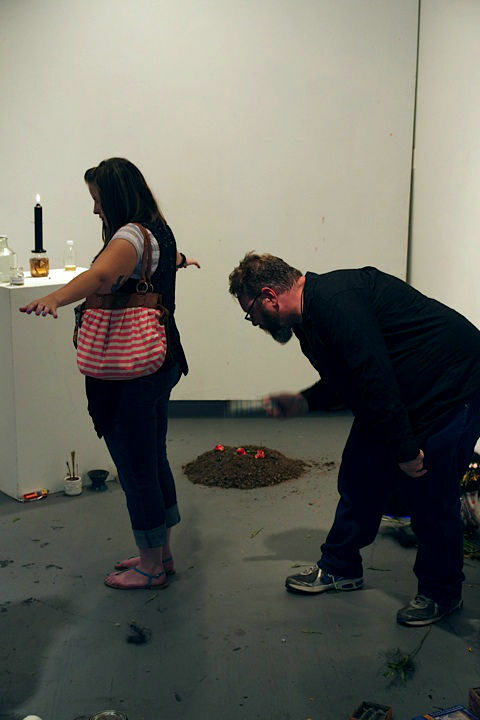 Hex was a performance art piece performed as part of the Residue Denver group show at Edge. It took real spell working and built it into a performance designed to place a hex on crooked politicians everywhere. Magic and ritual walk hand in hand, and are together the oldest performance art. Ritual is performance for people on behalf of the Spirits, and magic is for the Spirits on behalf of people. That's one way to look at it, anyway. A nameless, faceless, dark figure stands at an altar, a pair of disembodied hands. 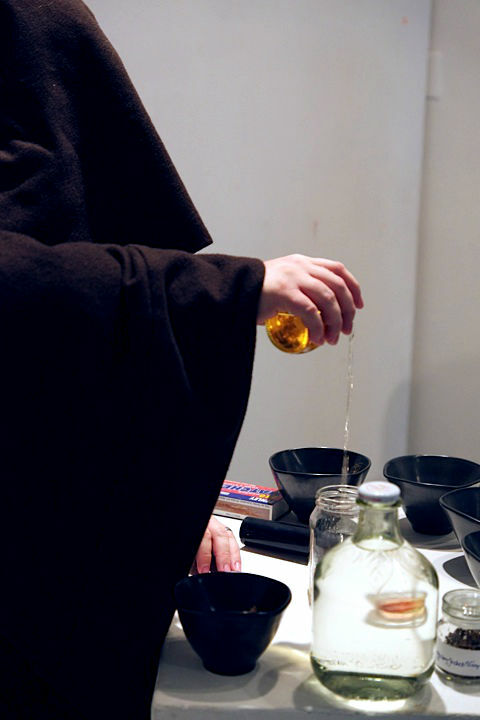 A narrator reads a spell, and at significant points in the spell, the hands add ingredients to a jar. At the end, a black candle was lit, and allowed to burn down, releasing the spell into the world, to curse bad politicians of every variety with all sorts of consequences. Afterwards, observers were smudged, so that they wouldn't be affected by or carry the energy of the spell. I release and set you loose!